The most transparent way to buy or sell your classic car or motorcycle. Specialist online auctions with professional listings and verified buyers and sellers as well as the Patina Price Trends tool allowing you to search the actual price trends for any make or model of car. We all understand how important history is to the value of our vehicle's. We want our cars to have as much documentation and provenance as possible as it adds to the value and recognise that it is more than just receipts and stamps in the service book. Available across platforms including our mobile app allowing you to quickly scan existing documents and invoices, add photos and videos in real-time and access your car’s complete history from your pocket. Secure, reliable and trusted by owners and automotive companies worldwide, Patina gives you complete control and ownership over your content and protects your data with the highest levels of security. 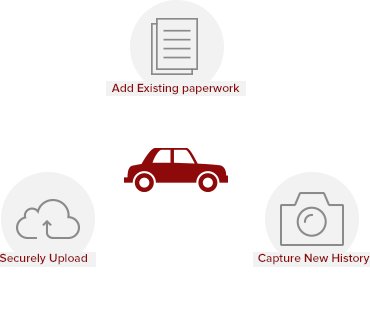 Create a permanent, rich and authenticated record through photos, videos, documents and invoices. Backup your existing history, scan documents with your phone or camera, optimising and converting to PDF and preserving in your secure digital archive. 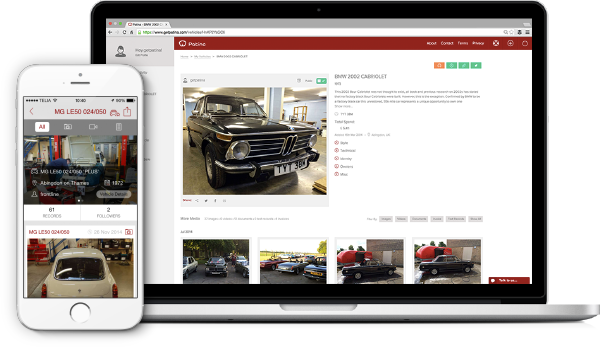 Capture the whole story of your car, documenting restorations, builds and modifications in detail. Have instant access to the the full history of your vehicles at any time, from any device. Authenticate invoices and documents with the companies who carried out the works, providing third party verification of the authenticity of your history. Establish your history in a digital format that unlike paper will not get lost or damaged. 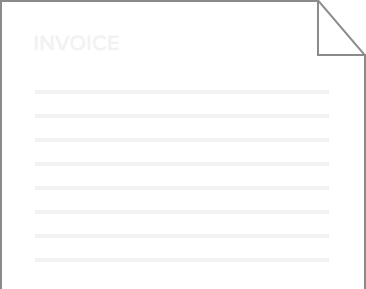 All documents and invoices automatically scanned and converted into searchable records. Set and receive reminders for important dates such as MOT, Insurance and Tax. Secure and flexible, our comprehensive security model enables you to share elements of your car's history with others such as builds and restorations or keep it totally private. Transfer the record to the next generation of owners they can continue to add to the history. Use the rich records on Patina to buy or sell your next car.